The Indian Landder Trail is a famous trail alongside a sheer cliff wall formation and arching cave structures. 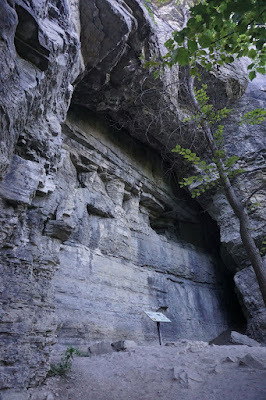 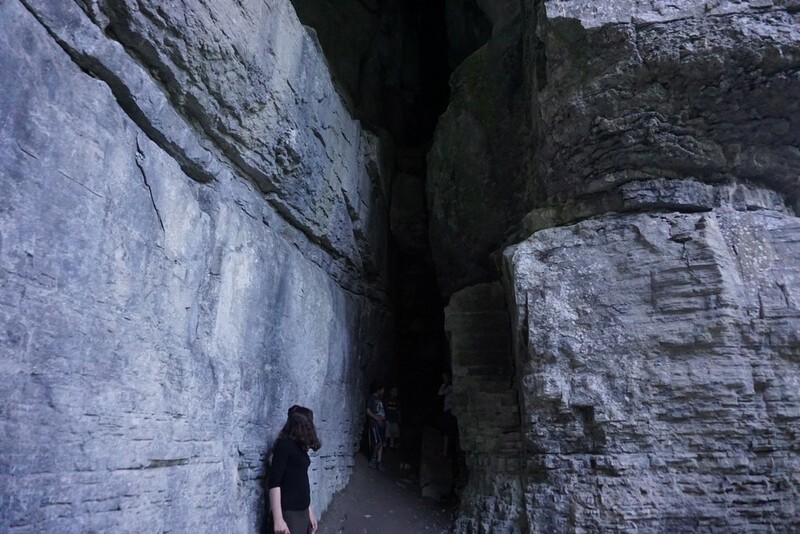 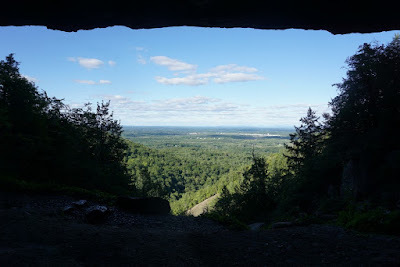 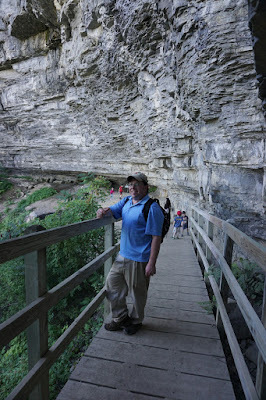 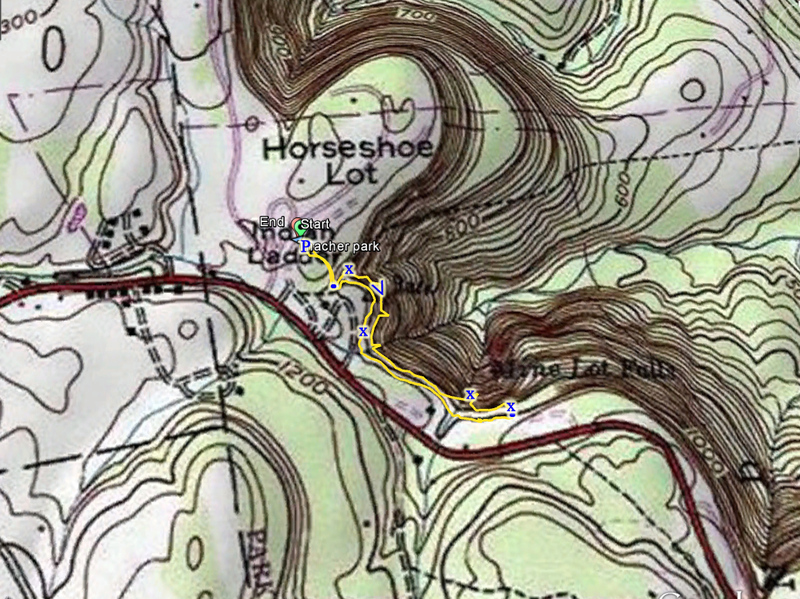 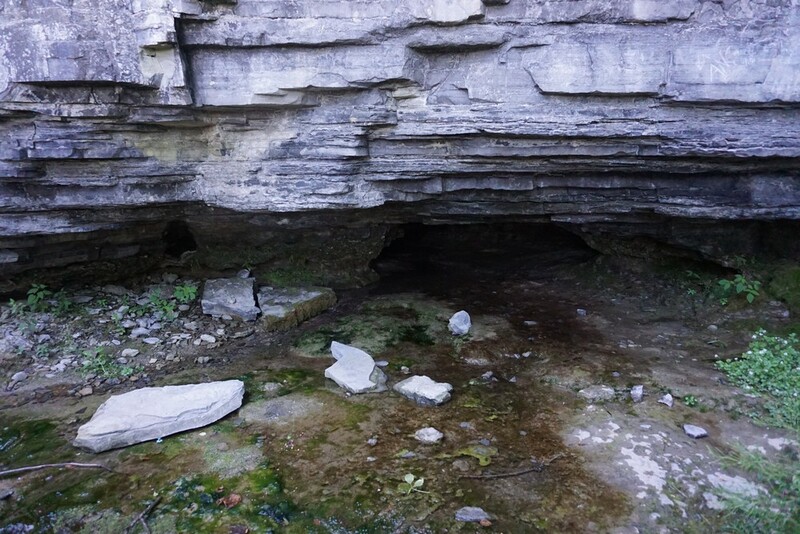 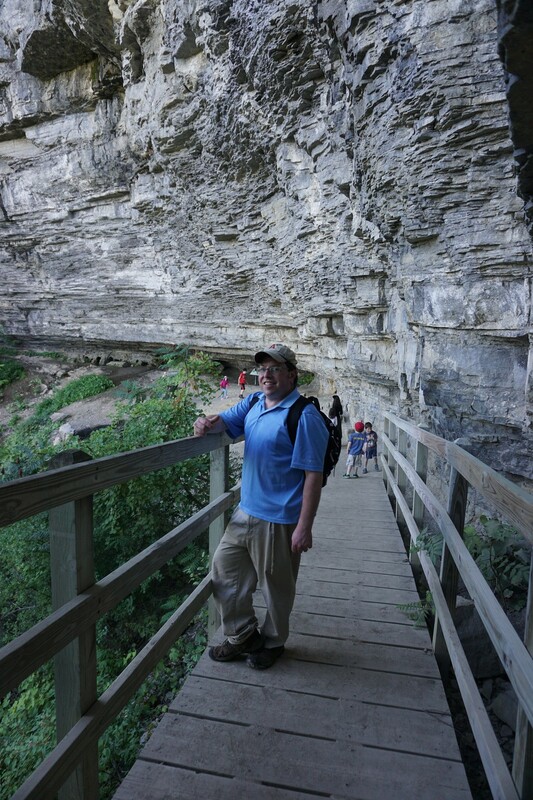 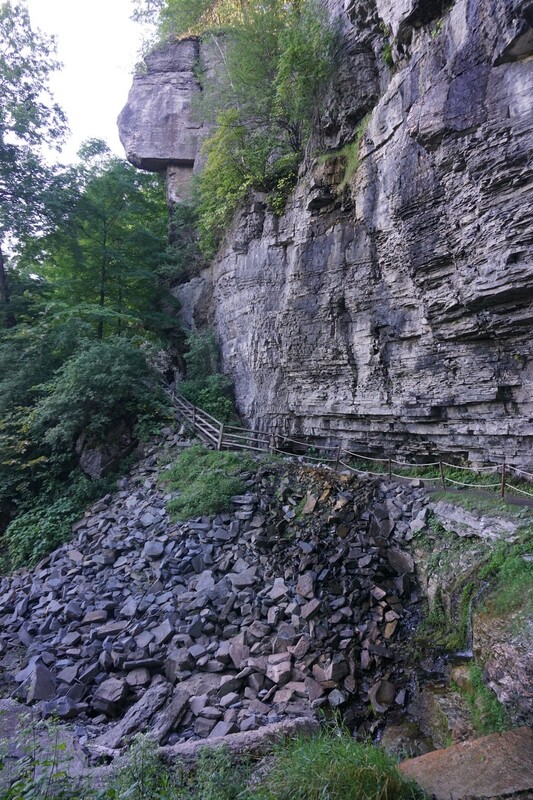 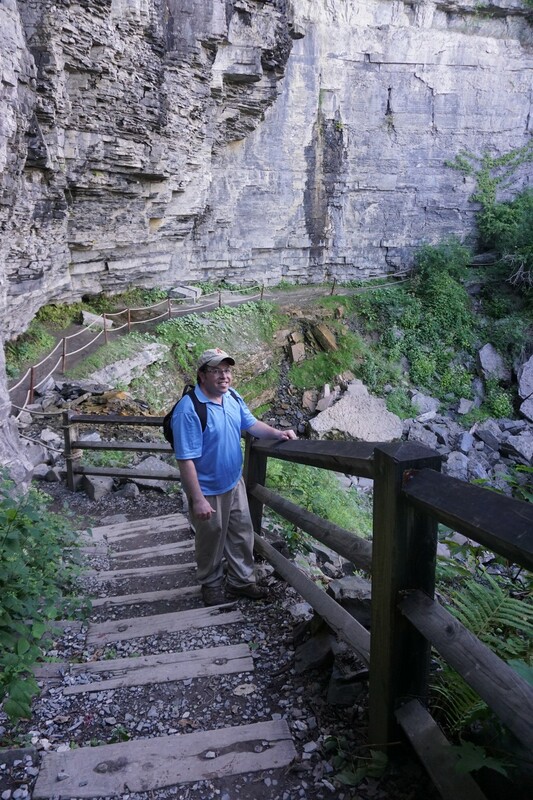 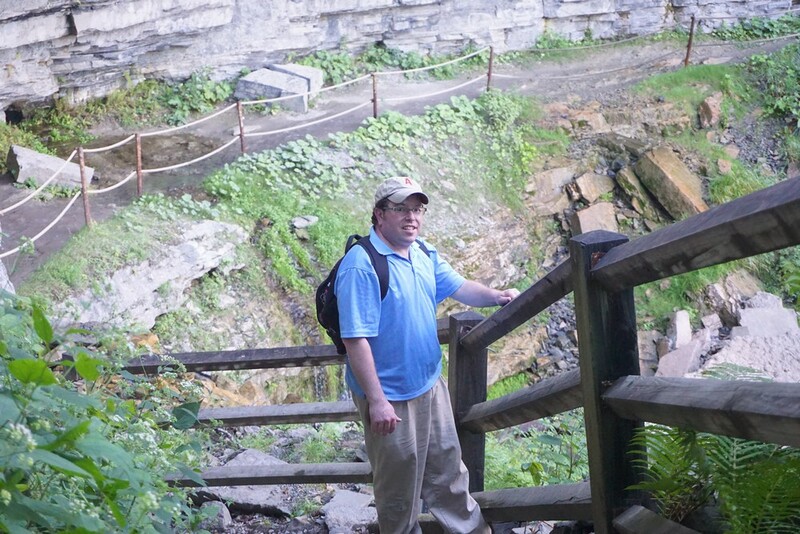 It is the most popular trail in John Boyd Thacher State Park and is the highlight attraction. 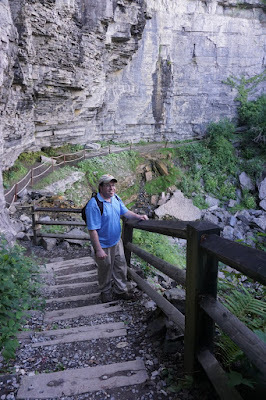 The trail itself is very short and only about half a mile in length, but its very scenic and interesting. 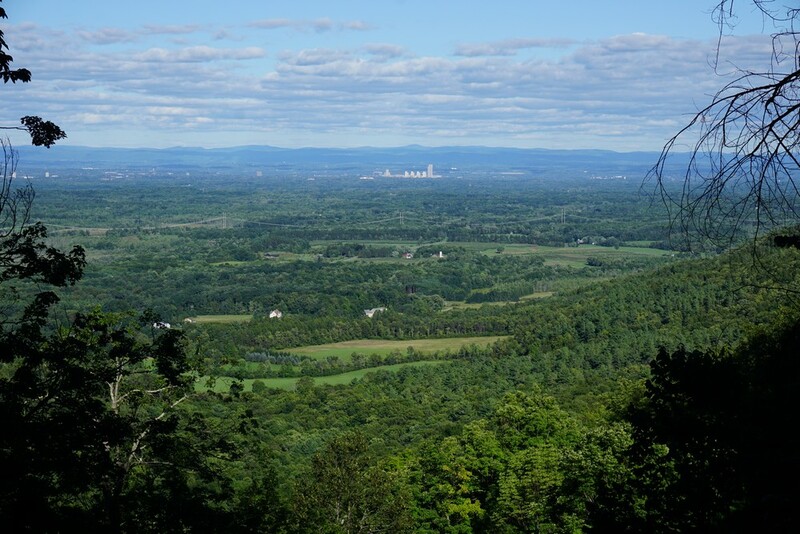 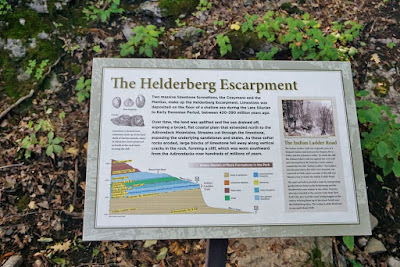 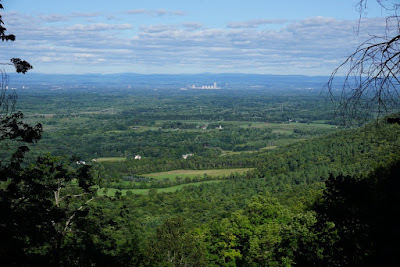 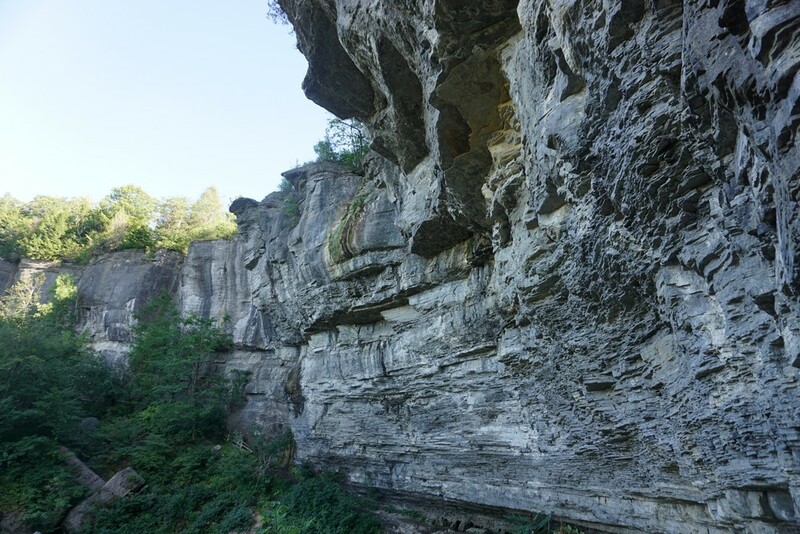 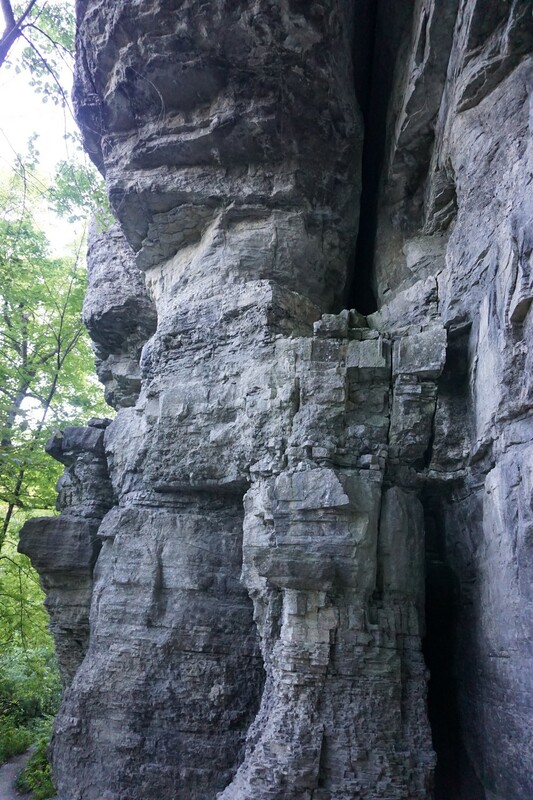 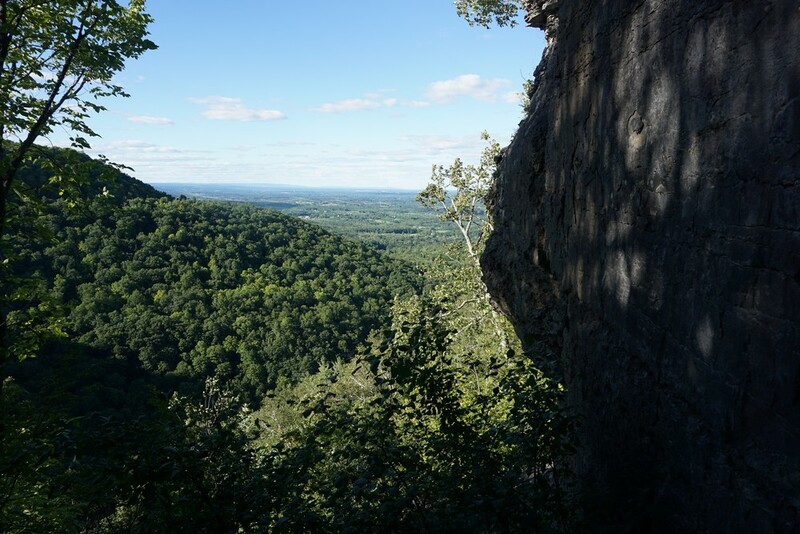 The Heldenberg formation is a mountain range jutting out near Albany formed of Limestone outcrops most exposed at Thacher State Park. 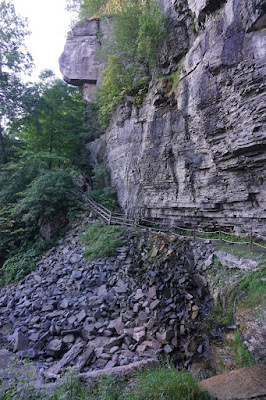 It forms a sheer cliff wall several miles long, with the Indian Ladder Trail traversing part of this in a wide trail with guardrails along most of the way. I had gone on a camping trip with my family to the area, and we camped out at Thompsons Lake State Campground which is adjacent to Thacher State Park. We parked in the Pear Orchard parking area, going past the playground and following the signs to the Indian Ladder Trail. 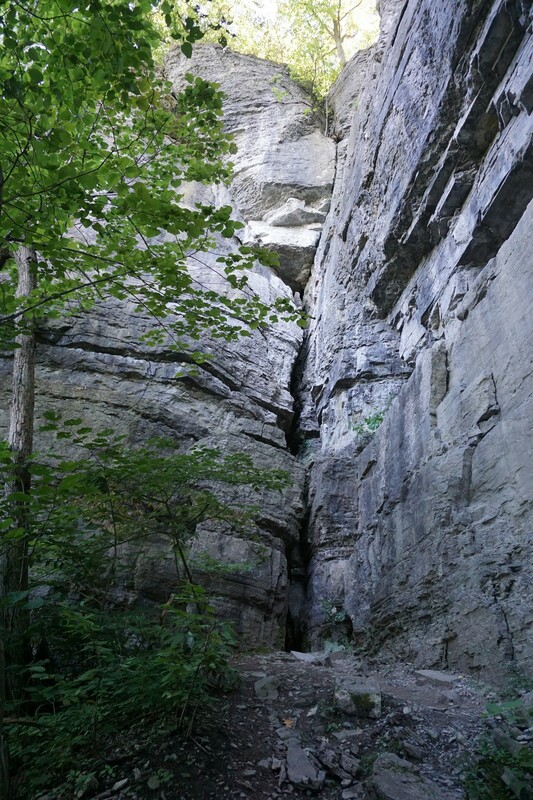 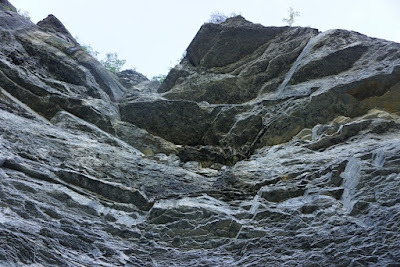 The trail starts by going through a crevice, and then descinding down steep stairs to the bottom of the cliff wall. 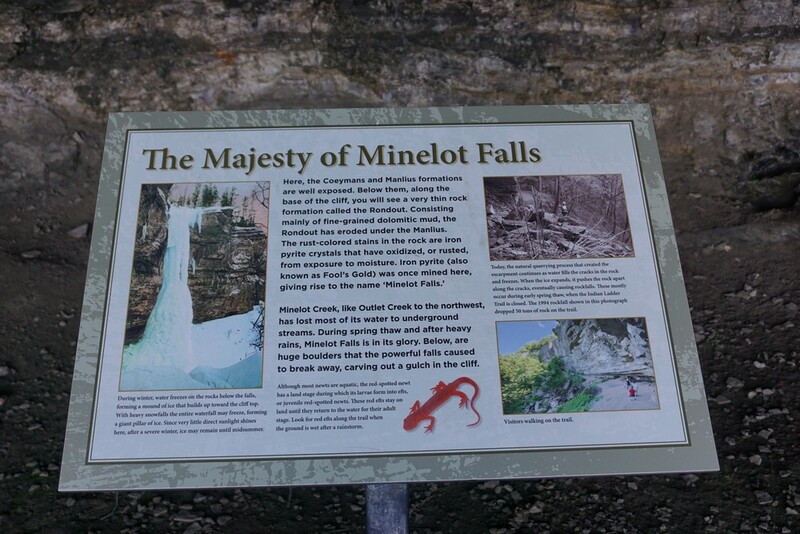 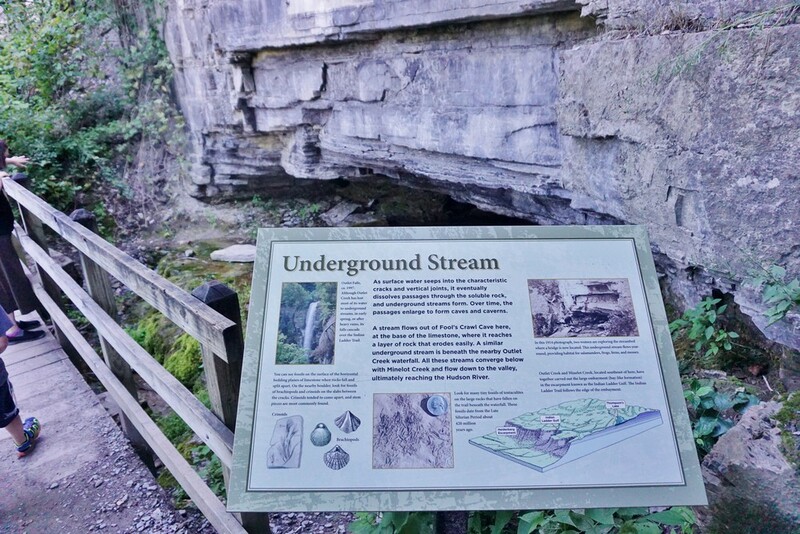 The trail goes past an arching cave, several streams pouring out of the rock wall, and the highlight is Minelot Falls, an incredible waterfall jutting well above the trail with the trail arching underneath it. 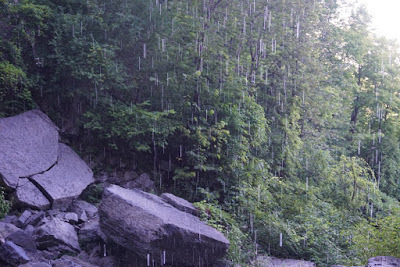 The summer had been very dry so the falls was a mere trickle, yet was still very impressive. At the end of the trail, it climbs back up steep steps to the top of the escarpment. At the top, I took the Long Path along the edge of the escarpment back to the car.